I signed up years ago for PayPal because it was an easy way to make and accept payments online at sites like eBay, so when I get an email from PayPal I do pay attention. At first glance this email appears to be legitimate because of the layout, PayPal logo, and boilerplate footer content. Same problem with the second link for send us an email, it doesn’t go to a PayPal site. 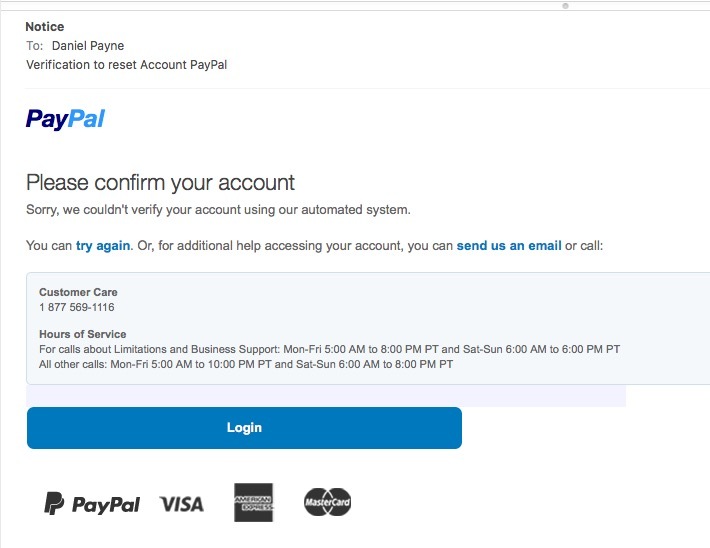 Double check any email supposedly coming from PayPal, and if the links don’t have paypal.com in them, then it’s just another phishing scheme to steal your identity. 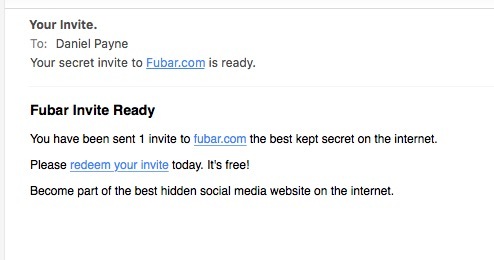 Sure enough, yet another phishing scam because the link has nothing to do with fubar.com. Besides, my drinking and dating days are long gone as I am 27 years sober and married 33 years.